We have some very cute little visitors at school this morning. 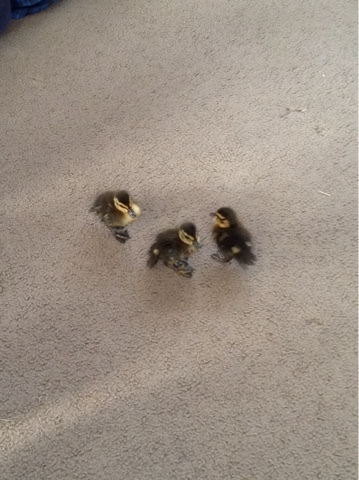 Nathan found some baby ducks on his front lawn this morning. We have lots of questions about them! Aw those little ducklings are gorgeous. I wonder if they have lost their Mum. I have seen lots of ducklings just lately crossing the road or running down along fences. Hope they all survive to be adults. Thanks for reading our blog post and leaving a great comment. 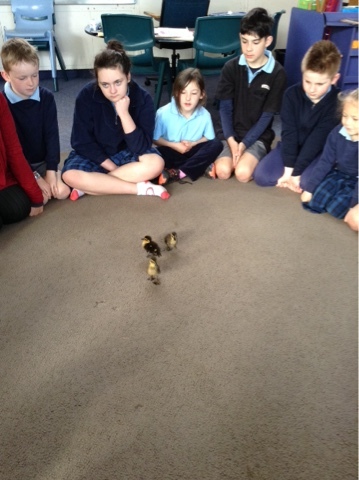 We found out that they are Mallard ducklings. 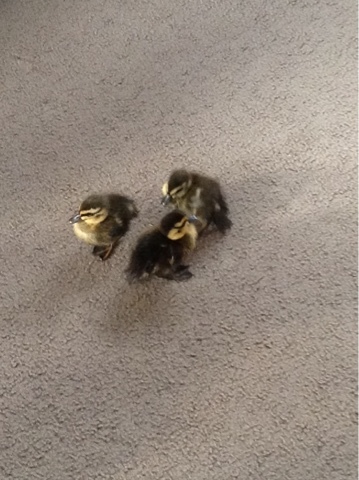 Nathan found them this morning on his front lawn. He is taking them home tonight to look after them. School is going great but we do miss your smiley face! Do you know what type of ducks you saw? The ducklings I have seen are Mallards too I think. I am well thanks for asking. Missing the school environment greatly and am really missing Ethan but hear he is happy and doing well at Heriot School. Hi guys. That looks interesting and they look so adorable. I hope you have had a great year! I hope to see your smiling faces again.